James Simmons-1[1, 2, 3, 4] was born on 21 Mar 1811 in Tennessee[1, 2, 3]. He died on 07 Aug 1872 in Williamson, Illinois. He married Phoebe Grimes on 02 Mar 1831 in Nashville, Davidson, Tennessee, daughter of Jacob Grimes and Mary. She was born in 1807 in Rowan County, North Carolina. She died in 1872 in Williamson, Illinois. Scott Mansfield Simmons, B: 01 Dec 1837 in Williamson, Illinois, D: 29 Jun 1916 in Williamson, Illinois, M: Emmarillas Maxey, 29 Apr 1857. McCoy "Mack" Simmons, B: 1847. Margaret J. Simmons, B: 1840. Mary A. Simmons, B: 1852. Angeline W. Simmons, B: 1834. 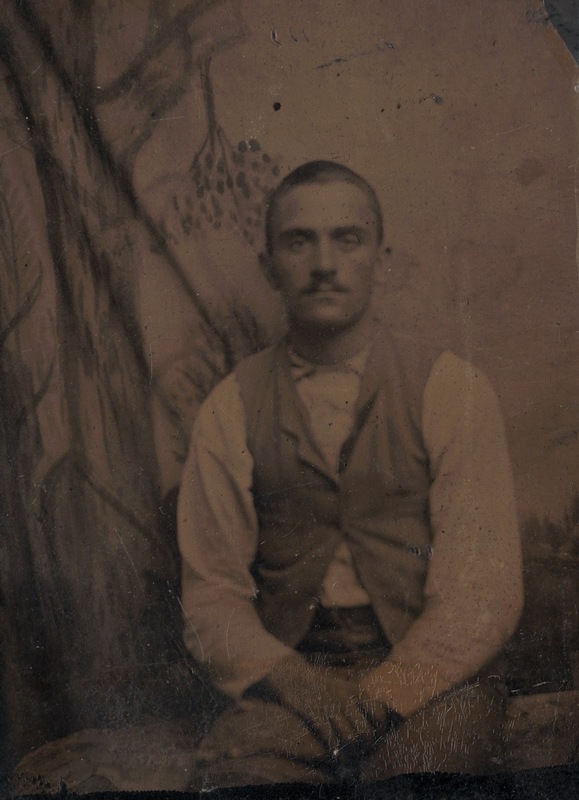 Scott Mansfield Simmons-2(James-1) was born on 01 Dec 1837 in Williamson, Illinois. He died on 29 Jun 1916 in Williamson, Illinois. He married Emmarillas Maxey on 29 Apr 1857, daughter of Holloway Maxey and Barbra Moake. She was born on 08 Sep 1837 in Tennessee. She died on 26 Dec 1901 in Williamson , Illinois. Winfield F. Simmons, B: 1874. Mary J. Simmons, B: 1875, D: 1969. Margaret Simmons, B: 1862, D: 1956. Marion W. Simmons, B: 1875, D: 1969. Milton Holloway Simmons, B: 14 Aug 1867 in Williamson, Illinois[6, 7], D: 05 Feb 1946 in Marion, Illinois, M: Gurtrude Ann Chamness, 06 Dec 1904. Milton Holloway Simmons-3(Scott Mansfield-2, James-1)[6, 7] was born on 14 Aug 1867 in Williamson, Illinois[6, 7]. He died on 05 Feb 1946 in Marion, Illinois. He married Gurtrude Ann Chamness on 06 Dec 1904, daughter of Johnathan Parish Chamness and Julia A. Conley. She was born on 18 Oct 1877 in Spillertown, Illinois. She died on 05 Aug 1973 in Marion, Illinois. Mary Simmons, B: 17 Oct 1914. Ray Simmons, B: 15 Jan 1908. Ruby Simmons, B: 23 May 1919. Samuel Simmons, B: 4 Sept 1909. Julia Simmons, B: 5 Aug 1911. Theron Simmons Sr., B: 31 Oct 1905 in Williamson, Illinois, D: 26 Dec 1997 in Marion, Illinois, M: Lela Goley, 28 Feb 1929 in Benton, Illinois. Theron Simmons Sr.-4(Milton Holloway-3, Scott Mansfield-2, James-1) was born on 31 Oct 1905 in Williamson, Illinois. He died on 26 Dec 1997 in Marion, Illinois. He married Lela Goley on 28 Feb 1929 in Benton, Illinois, daughter of Levander A. Goley and Cora M. Dunn. She was born on 09 Jul 1906 in Williamson, Illinois. She died on 10 Jun 1996 in Marion, Illinois.